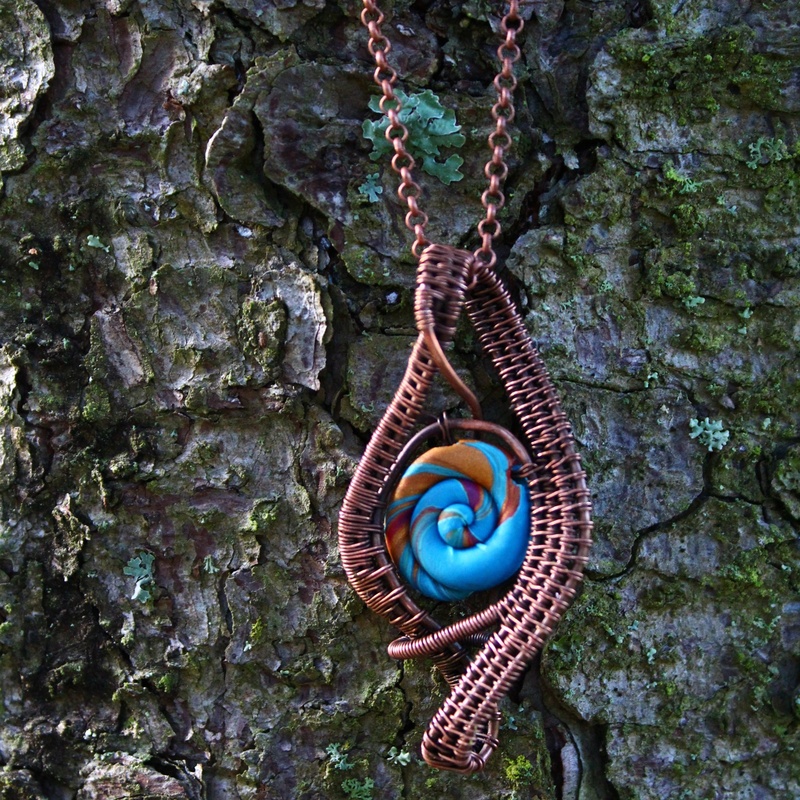 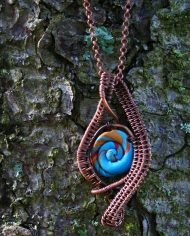 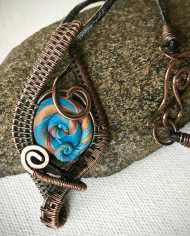 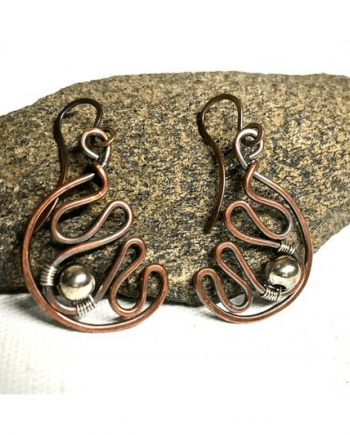 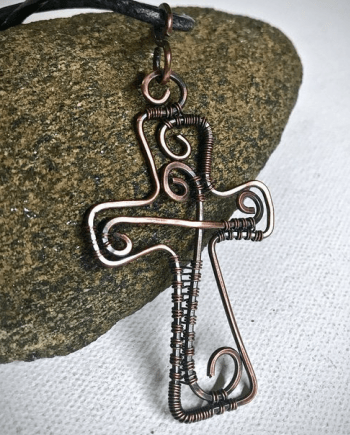 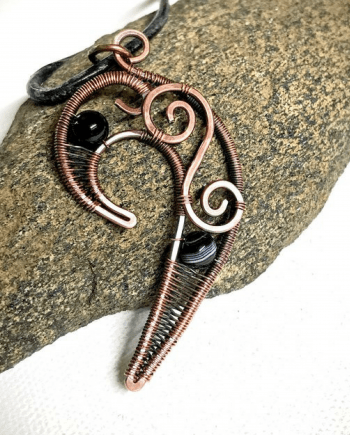 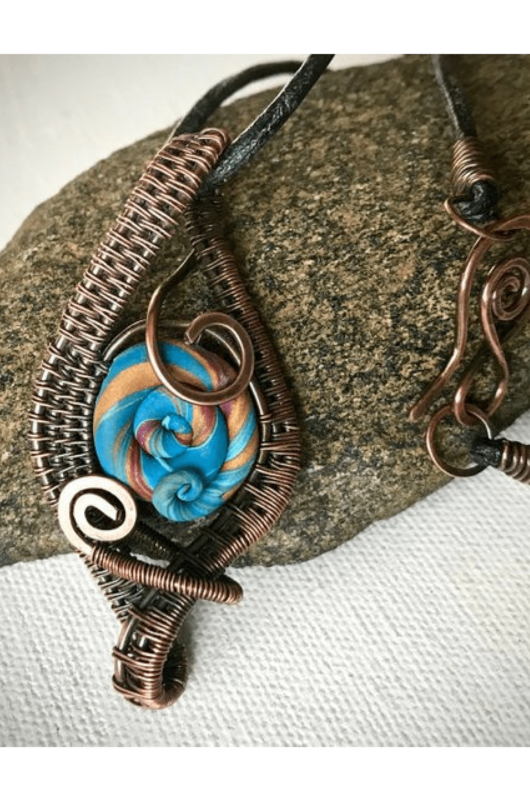 This one of a kind Handmade Copper Wire Wrapped Pendant has a unique look that will make it stand out in any setting. 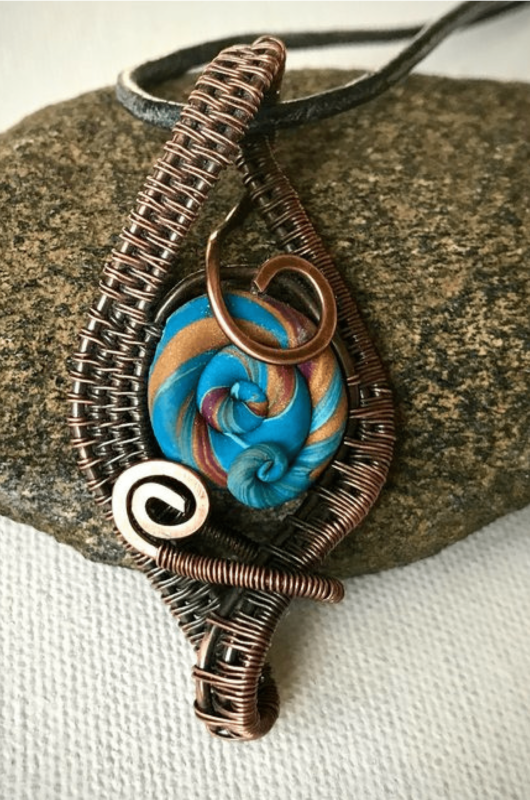 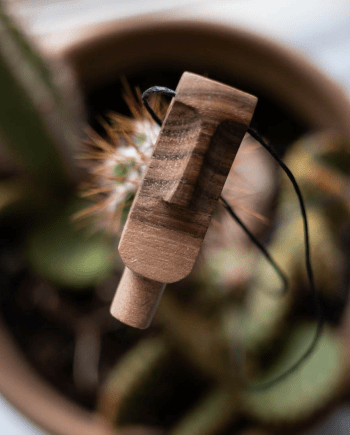 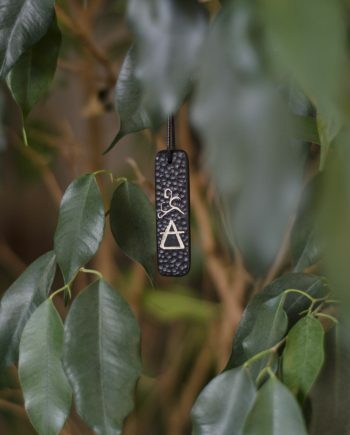 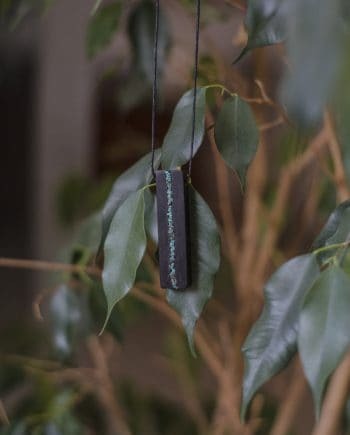 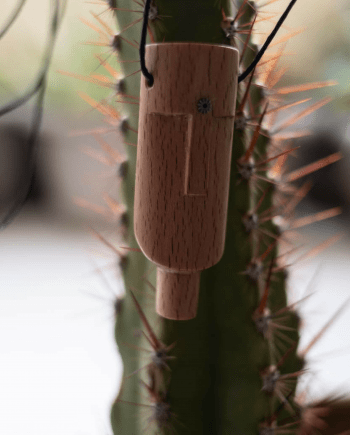 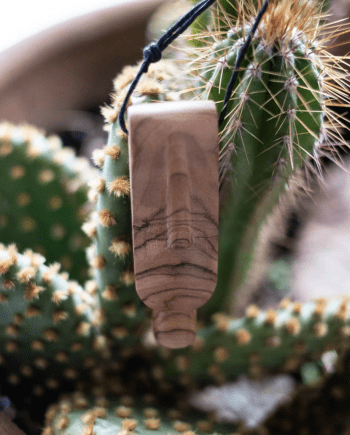 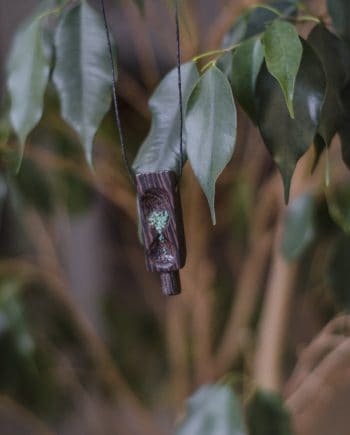 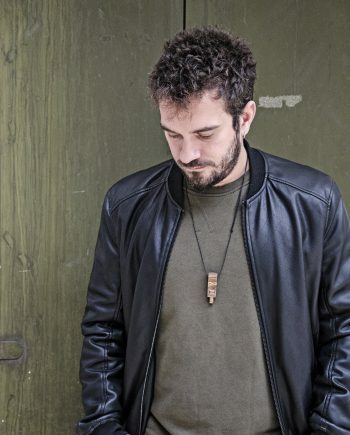 A beautiful pendant that has a bit of a bohemian vibe. 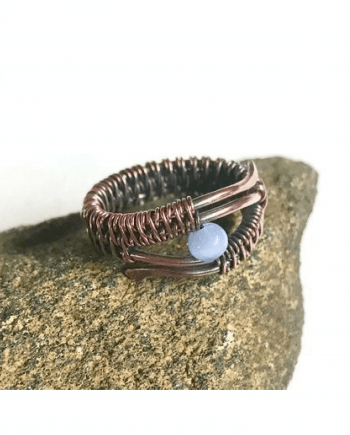 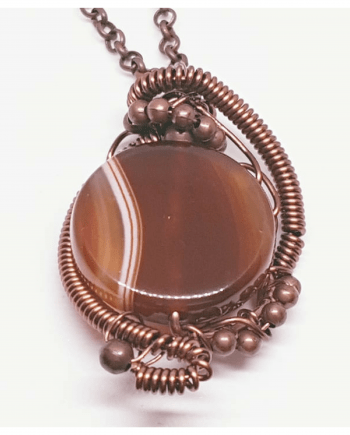 The combination of the unique colors and design of the bead with its copper wirework frame is sure to get attention.